November 21, 2014 November 21, 2014 | LizT. Today’s blog topic from The Nerdy Girlie and Super Space Chick is about characters I’d invite to Thanksgiving. Before I begin, you should know a little about my family. We are a very tight knit group of people. We uphold many unique holiday traditions and we are also what you might call… a little quirky. With that being said, adding any more personalities into the mix could be tricky. But we’ve always been a family that welcomes new comers and vagabonds alike with open arms and plates of turkey. So here is my list of characters I’d like to invite to Thanksgiving. From TV to Books to Muppets to Movies, my choices come from all over the place. My family is talented at a great many things. One of them is cooking. So it’s not like we need any help in the kitchen. 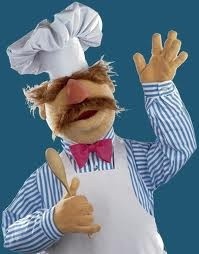 But I’ve always loved the Swedish Chef from The Muppets. His Mock Swedish dialect and his can-do attitude would make for an upbeat positive guest at our Thanksgiving Feast. Plus we love to add multi-cultural elements to our holiday traditions. So why not add one of his famous dishes to the menu? Like his Flapjacks, Fishie Chowder, Japanese Cake, Frog Legs or his Squirrel Stew. It’s not so much the end result as it is his process that would be the most entertaining. Sure, he’s haughty and proud. And sure… those are qualities a modern woman would rare to never tolerate in a man. But he’s Mr. Darcy!! 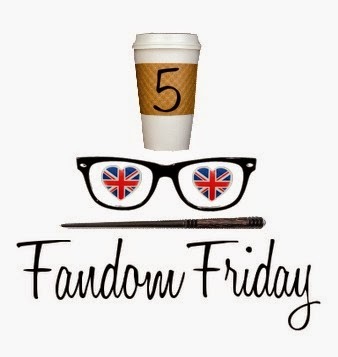 And aside from providing some delicious eye candy (Colin Firth is the Darcy I’d choose), he can also provide sparkling conversation when prodded and pushed. Maybe it’s an odd choice, but I’d love a traditional Regency Era Thanksgiving Feast complete with reel and musical concert. Perhaps a little impromptu singing might be in order. 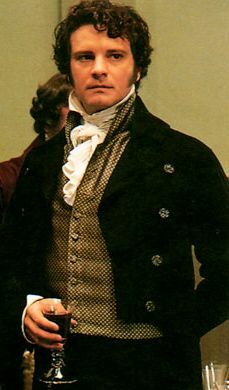 And if Mr. Darcy was in attendance you could almost guarantee that something exciting would happen. My Grandmother, Flora, is the matriarch of my family. We have Thanksgiving at her house every year. She is strong willed and stubborn and I think I get a lot of my gumption straight from her. 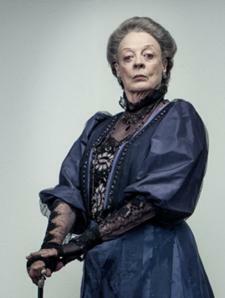 She reminds me a lot of the Dowager Countess of Grantham, Lady Violet Crawley. You might wonder, with one Lady of the house already in attendance, why invite another. I imagine that if Lady Violet and Lady Grandmother Flora were ever to meet, they would either become best friends and while away the hours playing bridge, or they would become sworn enemies and take turns delivering crushing set downs. Either way, I think it would make for a most entertaining Thanksgiving Feast! A genie is always handy to have around. You never know when disaster could strike and if you had a magical genie of the lamp then crisis would immediately be averted. 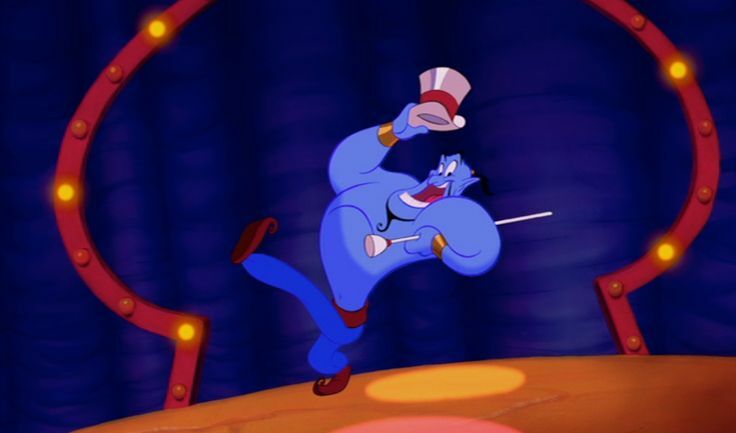 A genie is useful, but Genie is a delight. Genie has long been my very favorite Disney character. Voiced to perfection by the late Robin Williams, he is caring and funny and the life of the party. He will always be welcome at my Thanksgiving table! This one is for my sister-in-law. She is an avid Lucy fan. Who isn’t! (But she really is!) I think Lucy would round out this quintuplet of Thanksgiving guests. 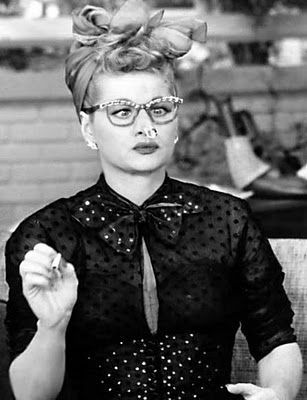 Accident prone and ridiculously goofy, Lucy is always trying to do right, yet always managing to mess things up. I’m not saying she’d drop the turkey, burn the mashed potatoes and end up with pumpkin pie on her face… but it would be worth the invite to see just what might happen! Happy (less than a week till) Thanksgiving to you all. Who would you invite? I LOVE that you included the Swedish Chef! Thanks. Animal is actually my favorite Muppet, but I fear he’d be a terrible dinner guest. Maybe Liberace or Beethoven. We could have some great music. Ooo good call. Maybe we have Genie snap them to the house for a bit and then snap them back!